Sometimes I wonder why I don’t make big turkey dinners more often. After all, the food is so delicious and basic: Meat, potatoes, veggies, rolls, dessert. 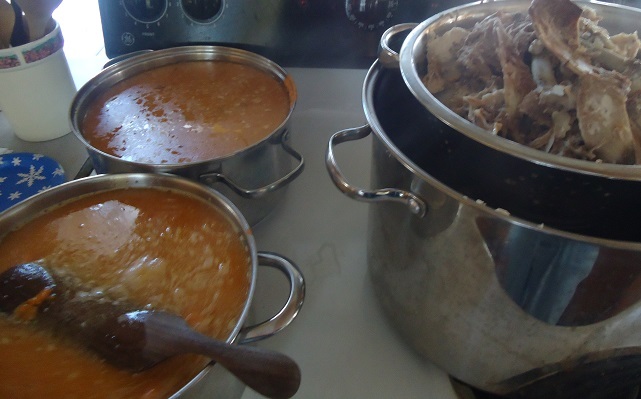 But each year as I’m prepping the food, I’m reminded why I only make it once or twice a year. It’s a lot of work compared to putting together a casserole and serving it with a salad! You’ll be glad to know that along with my every day getting ahead tricks and recipes, I’ve figured out many ways to get ahead for the big Thanksgiving meal as well. I usually start a week or two in advance, making good use of my freezer. Does our Thanksgiving meal taste like I’ve frozen and defrosted it? No way. It tastes fresh, because I’ve learned tricks to get ahead and keep the food tasting great! First, I make my turkey ahead of time. I love getting the big chore of cooking and deboning a turkey out of the way ahead of time. 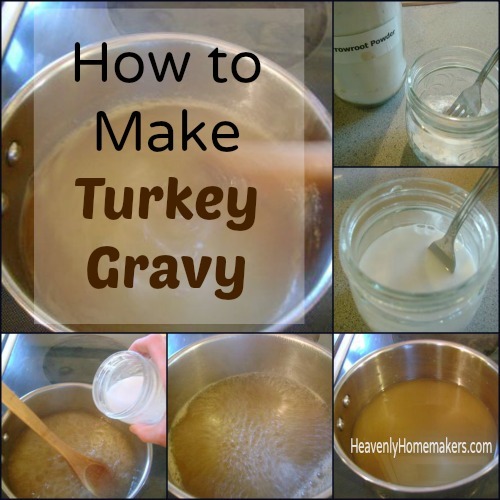 Once I’ve got the turkey cooked, I then have several jars of rich turkey broth that I can use to make Turkey Gravy for the big day. I freeze the broth to be used Thanksgiving day. Potatoes? Well – I don’t make my mashed potatoes ahead of time. 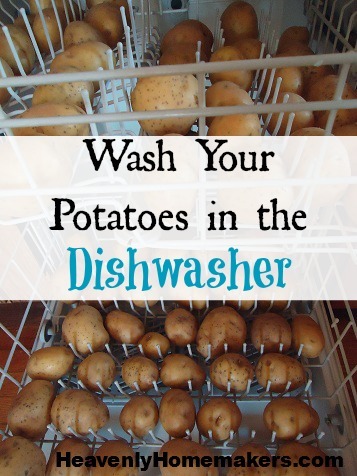 But, the day before, I wash a large amount of potatoes in the dishwasher so that they are ready to go. I also find that it works well to peel and cut the potatoes the night before Thanksgiving. I put the prepared potatoes in a pot of room-temp water. When it’s time to cook and mash them, all I have to do is move the pot of prepared potatoes to the stove and begin the cooking process. 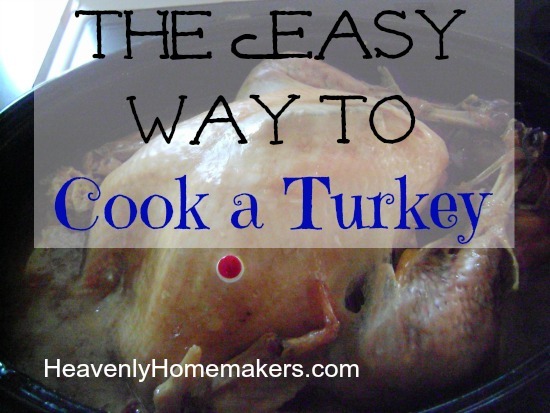 Such a Thanksgiving day time saver! How about homemade rolls? 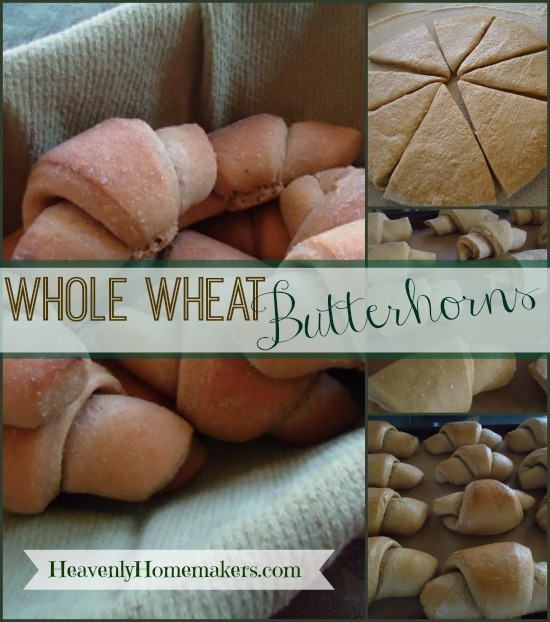 We have two favorite recipes, one of them being these Whole Wheat Butterhorns. They can be made ahead of time, then set out to thaw in the morning and baked at meal time. Easy! 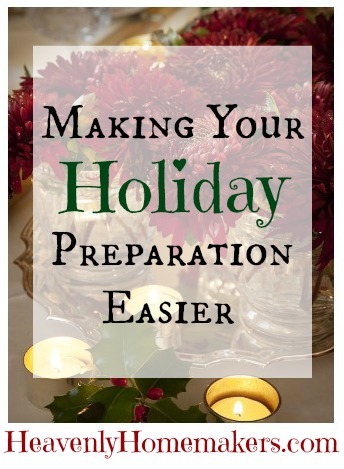 What do you do to get ahead of big holiday meals? 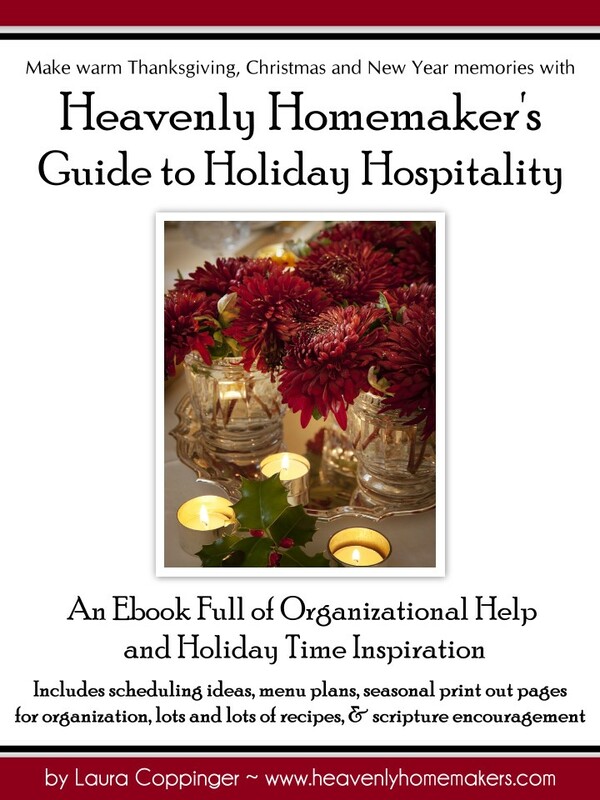 All of these tips, plus many more can be found in our Heavenly Homemaker’s Guide to Holiday Hospitality eBook. In addition, you’ll receive planners, printables, and lots of recipes! For one last day, this eBook is marked down to just 99¢! Get it now! (Holiday Hospitality for Kids eBook is available for just 99¢ as well.) Sale runs through Tuesday, November 19.